Researching for warm places to visit in Europe in Dec – Jan, I kept moving south looking for reasonably warm and exciting places when I came across an article on Morocco, a north african country which is just south of Spain. It said that Morocco was a popular destination for european visitors, especially, british and spanish in the winters. As I read more, I became more and more mesmerized by the wide range of excitement the country offered. 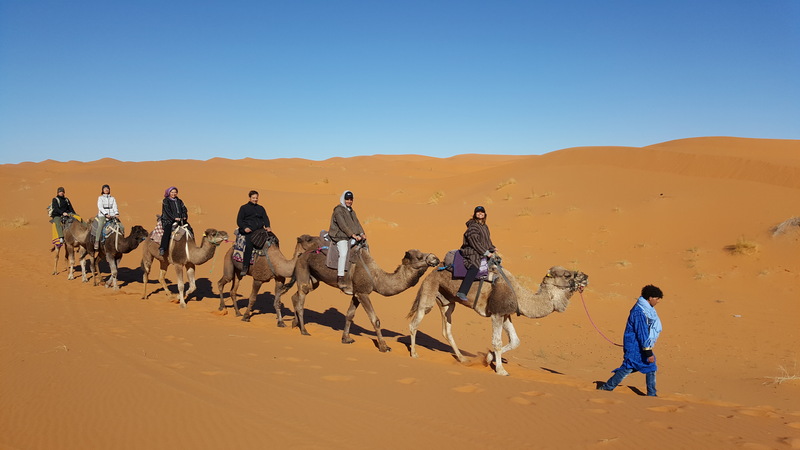 There was the desert, the Sahara, with 400 feet dunes in Erg Chebbi, where one could take a desert safari on camel back, staying in desert camp with berber nomads. This sounded exciting and got me going. I found that Morocco was not just desert but also had the mighty Atlas mountains with majestic peaks and gorges which held promise for some challenging treks. Nested in the beautiful mountains was the Todra Gorge with its centuries old settlements. Closeby was the UNESCO heritage site of Ait bin Hadou, a Ksar or village many centuries old (around the 17th century). Many popular Hollywood movies such as the Gladiator, Game of Thrones, Mummy, Lawrence of Arabia and many more, have been filmed here. The village is a site to behold, beside a river rising like a hill in the plains with the Atlas mountains in the backdrop. You can see the interlinked mud structures (earthen habitat) and spend hours walking the maze of narrow pathways admiring the ancient relics. From here my attention shifted to the history of Morocco, which brought me to the imperial ancient city of Fes, which served as the capital city of Morocco for many centuries. 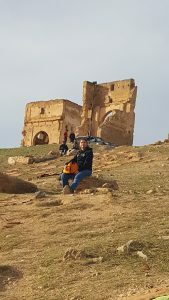 As I read more about Fes, I got more and more enamored by the ‘medina’ or the ancient walled city founded in the 8th century AD, where people still lived. 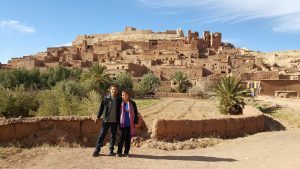 I decided that I had to experience this culture and discovered the riad hotels. These are houses in the medina which have been converted to hotels providing luxuries for the western tourist, yet maintaining the traditional touch. The medina is a walled city with everything inside, the mosque, the markets or souks, restaurants, schools or madrasas, etc. There is a lot more for history buffs like me such as the ancient roman ruins of Volubilis dating back to the 4th century AD which still have the well preserved columns, arches and the intricate tiled flooring. Marakkech, one of the largest cities in Morocco was also a must see with its many palaces, medina and the famous Jemaa el Fnaa square. I included a day in Rabat as that was our entry / exit point and had some beautiful views from the vantage point at Hassan Tower. The mausoleum of Mohammed V is a must see place too. 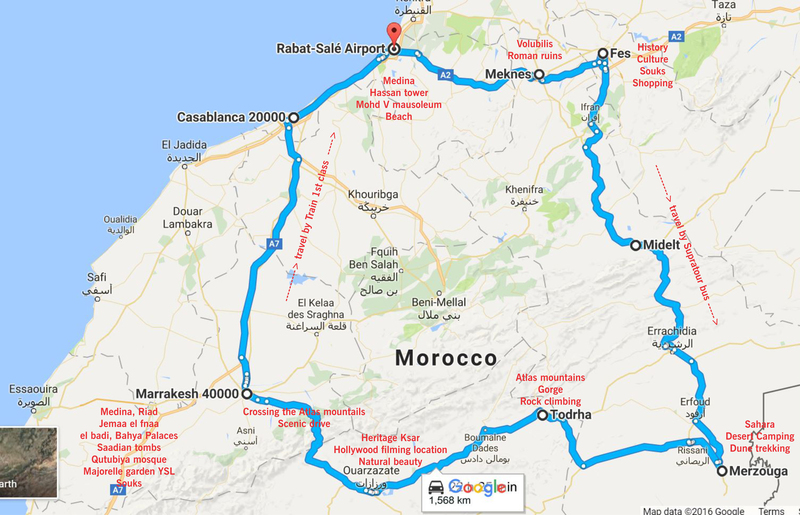 I wanted to add the Mediterranean city of Tangiers, the beach city of Essaouira and few more destinations but 12 days is too short a time to do anything else. It was an experience of a lifetime but I have to warn that to enjoy Morocco as I have detailed, one has to have higher than average fitness as it involves a lot of walking and climbing. The best way to explore a new place is to walk to sites, eat local food, stay in traditional dwellings in the old city, talk to local people, wear local clothes (djellaba in the desert), participate in the local entertainment and shop at local stores for traditional handmade stuff. Morocco is a very safe place for tourists and the people are very friendly. You would see a lot of locals trying to sell you stuff, but if you politely refuse, they would not harass you. December is a good time to visit with temperatures of 20 Celsius in the day but going down below 10 at night. Enjoy the tajine delicacies and the kebabs with couscous washed down with many cups of the Moroccan mint tea. 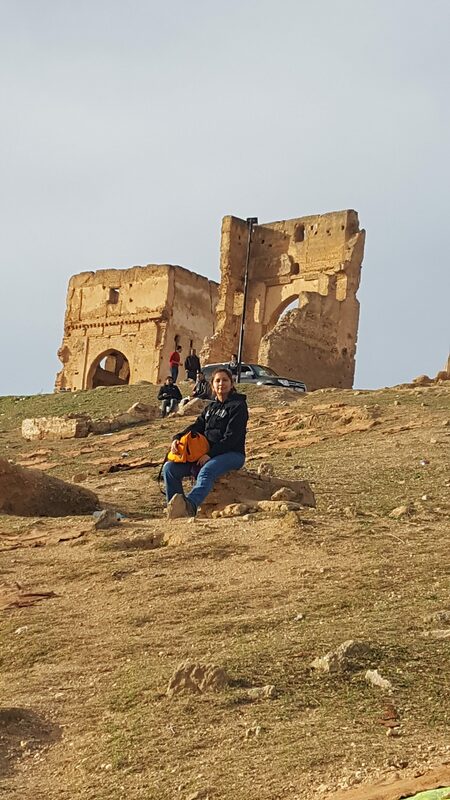 Visited the Ksar of Ait ben Hadou, a UNESCO heritage site; a magnificent site!!! Spent almost 3.5 hours… trust me, with all the walking and climbing, you would be looking for a nice lounge chair and a glass of steaming hot mint tea at the end of the 3.5 hours.